If Disney was an ode to my childhood, Universal hits the spot when it comes to my movie buff lovin’ side. First off, it was a long day that began with a 8:15am pickup just outside our hotel courtesy of Southern California Grayline Tours. Included with our pickup was entry into Universal Studios. As we drove down, our driver Charles gave us a guided tour of Los Angeles and we were able to see the faint Hollywood sign in the distance. As we pulled up to Universal, Charles gave us instructions on where to meet him and how to best maximize our day at the park. 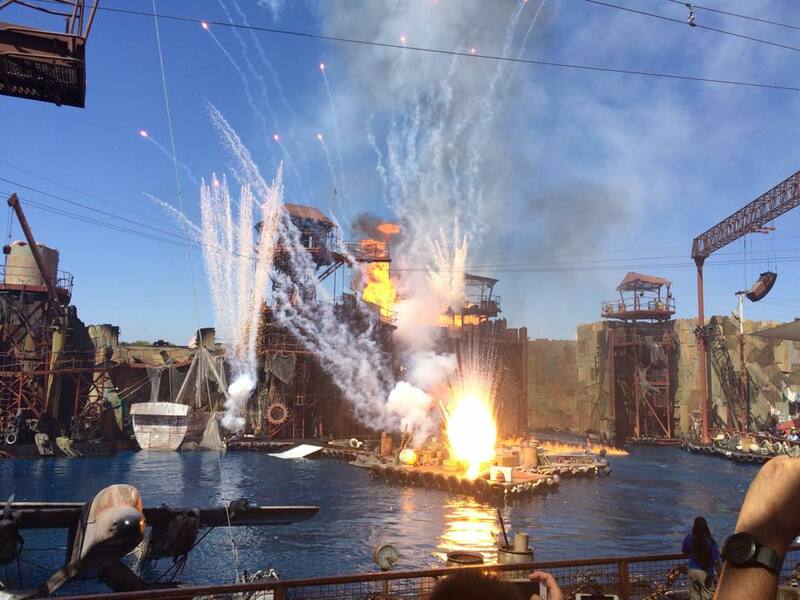 I think my favourite attraction has got to be “Waterworld”, an amazing live action show with plenty of explosions and craziness all in front of you. Another fav would be “The Studio Tour”, which covers some of the historic backlot where lots of our favourite movies were filmed, and combines some 3D action, a flash flood, a simulated earthquake and more! Both are equally exciting and show the quality of entertainment that Universal puts out there. They even have a section dedicated to “The Simpsons”. You can even head to “Moe’s” for a “Flaming Moe” to quench your thirst buds. So many people here, but Universal has these cool down stations where you can stand in front of these large fans that also sprays a fine mist on you. They also have these misting sprays in the lineups for most of their attractions. This is something I didn’t see at Disney but they should definitely invest in this too! I’m curious if it has something to do with the water shortage in California. After a long day at Universal, we left around 7pm back to our hotel. Glad we saw it, but I could use a day off these feet and away from lineups. 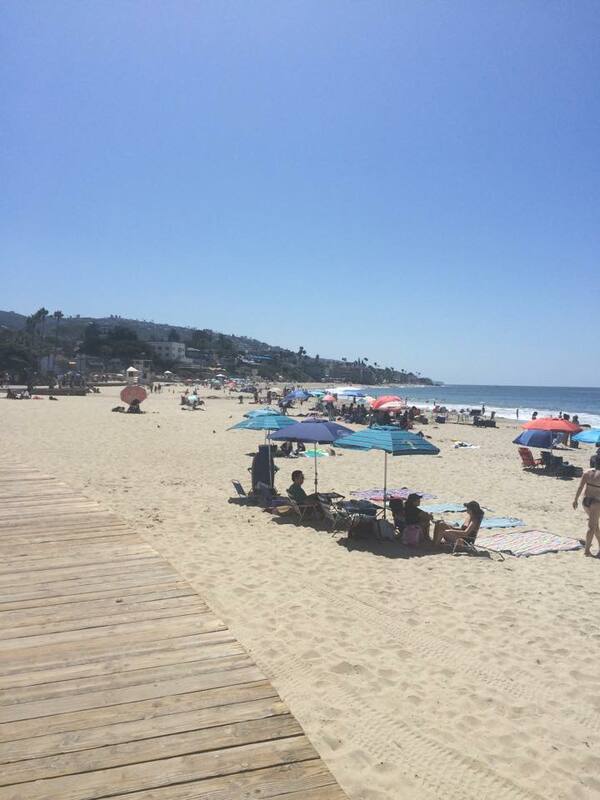 My last day was a visit to Laguna Beach. Renting a car and driving to the beach was a smart move after what felt like endless days. Finally, we can soak up this amazing weather without interruption. What’s great about the drive between Anaheim to Laguna/Newport or Hunnington Beach? It’s easy! No highways. No tolls. Just an easy 20 minute drive down two streets and you are at the coast and it does not disappoint. The beaches are wide and the water is perfect for those California surfers and the wannabes who test it out for themselves. Enjoying a day at the beach puts the cherry on top of this amazing holiday! If you ever considered taking your kids on a hot holiday but weren’t sure where you could go, look no further as the Barcelo has everything you are looking for. 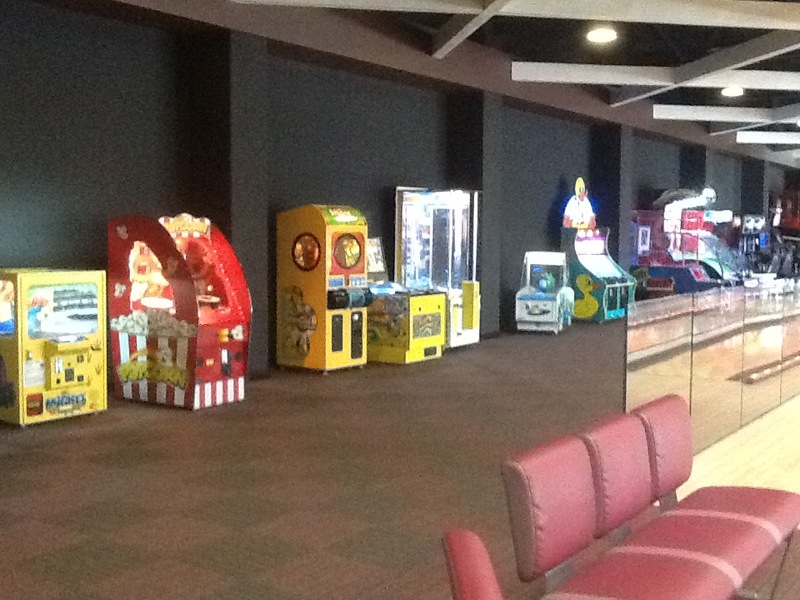 This hotel has enough to keep your kids entertained for days. 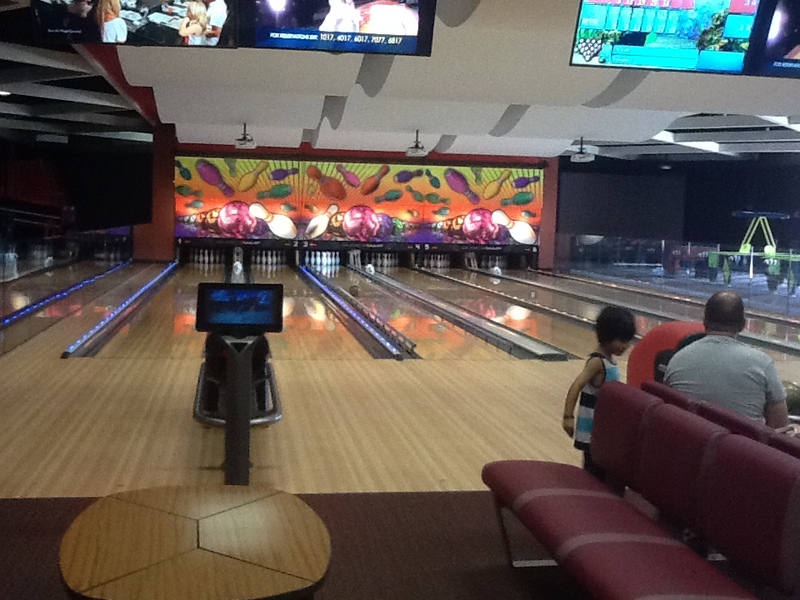 Let’s start at Stricker’s which is open 24 hours for the kids to do 10 pin bowling and when they get tired of that, they can play at the arcade. They can get snacks there anytime. 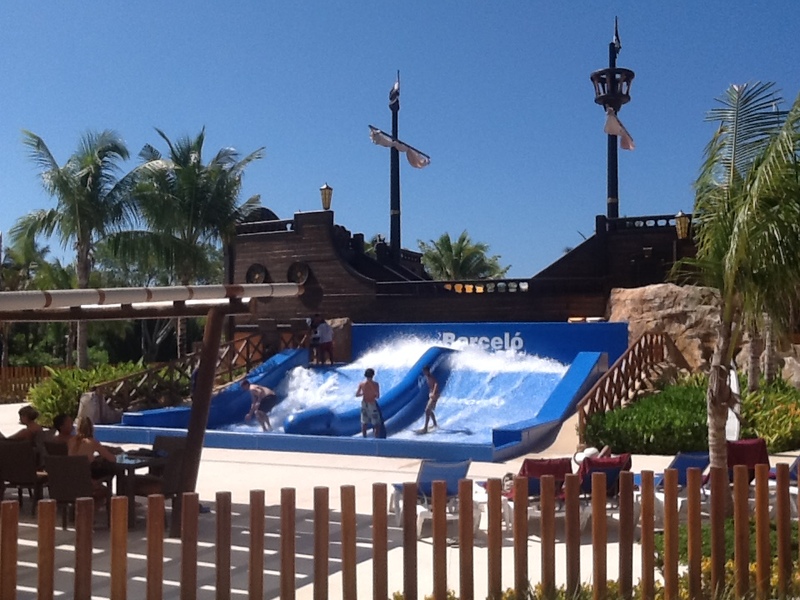 If your kids like the pool, they can try Pirates Island Water Park with water slides and a surf rider. Each pool also has its own children’s pool area. 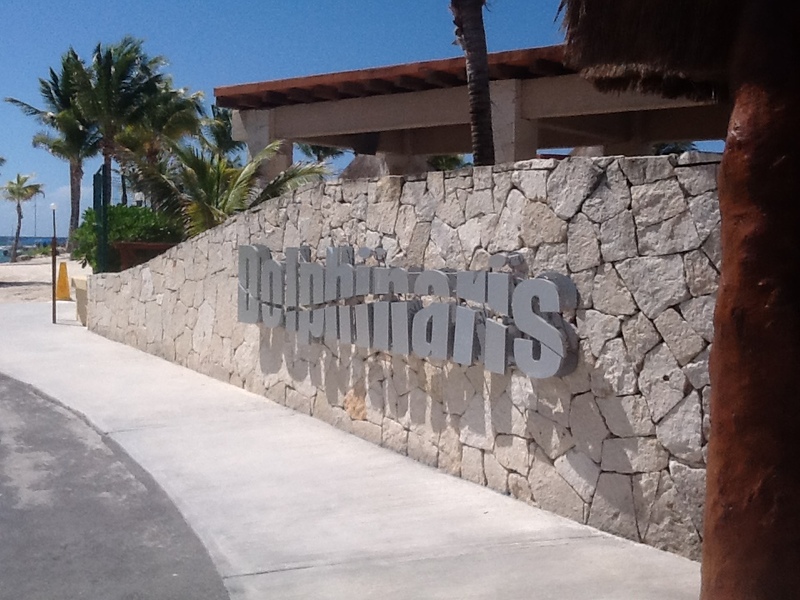 If you ever wanted to swim with the dolphins, the Barcelo has it’s own Dolphinaris. 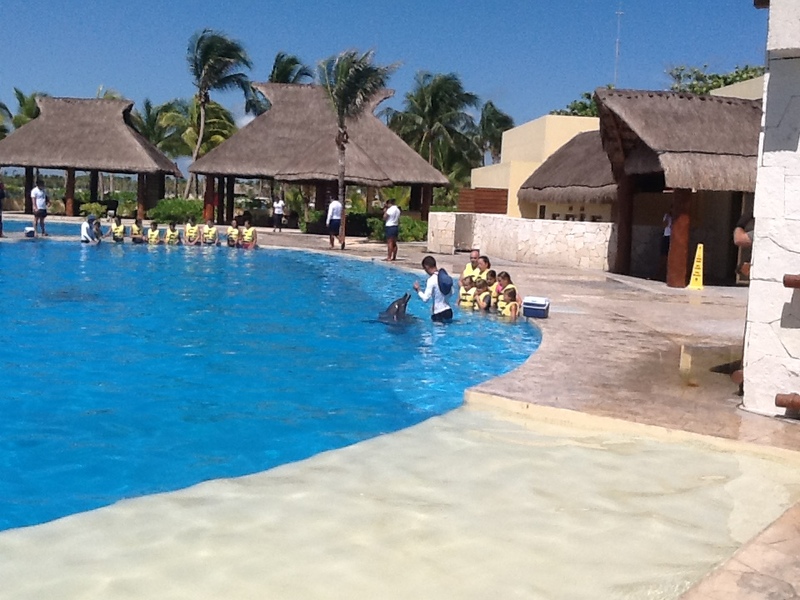 Here you can experience a dolphin encounter starting at $82.00USD. It is literally 2 minute walk from our room. If you don’t want to get in the pool with the Dolphins you can just watch from the covered patio. Take a walk in the Mall and you will find a carousel for the kids and One disco club for your teens. One of the other popular things that the kids are doing is buying a piece of pottery either a fish, lizard or a pot and then they are painting it and taking it home with them. Down by the beach they have a basketball court, volleyball court and a rock climbing wall. You can always find a soccer game down on the beach. There is also a kids club for the little ones. They have a club house and an enclosed park so the kids can play outside. 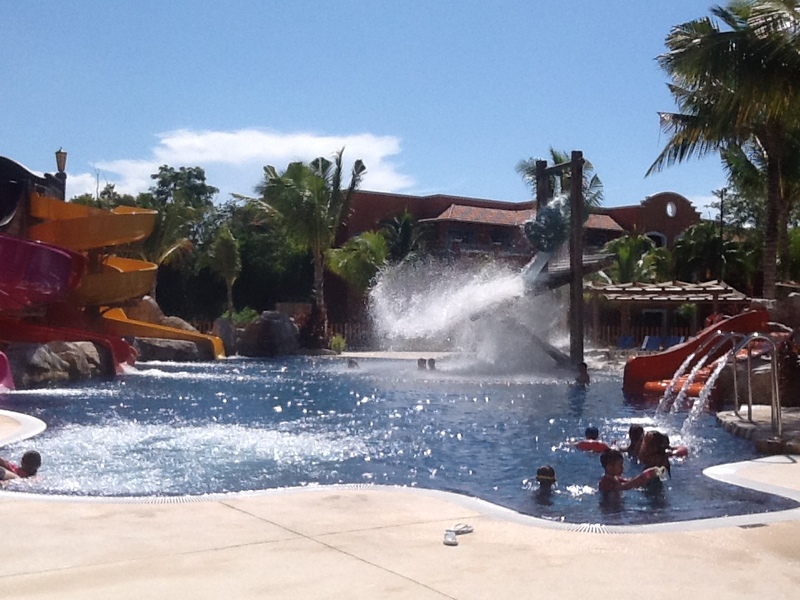 The Barcelo has it all for your kids to have a great holiday. Hola form the Barcelo Hotel on the Riviera Maya. 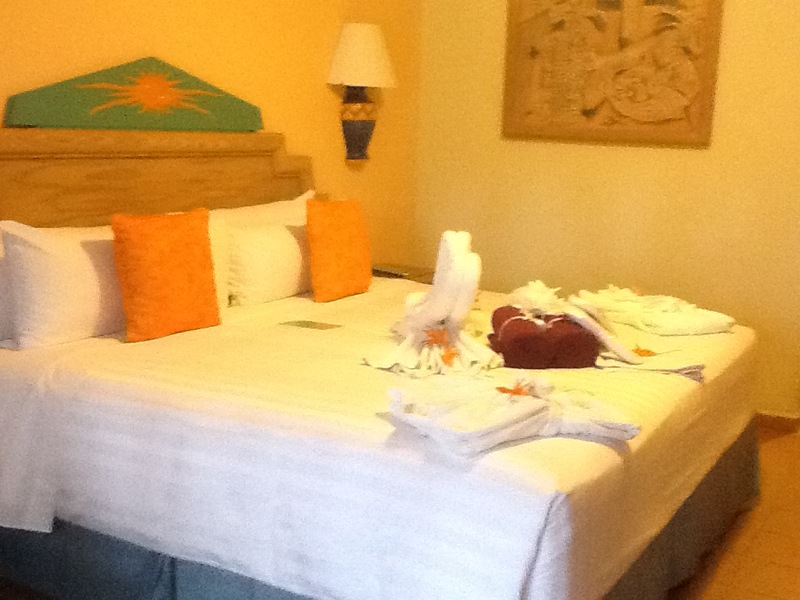 We arrived on Saturday to our new home for the next week, the Barcelo Maya Caribe. At first glance it looks like a smaller hotel but that couldn’t be farther from the truth. In actuality the Barcelo has 5 resorts side by side so you can actually stay at one but go to all four. 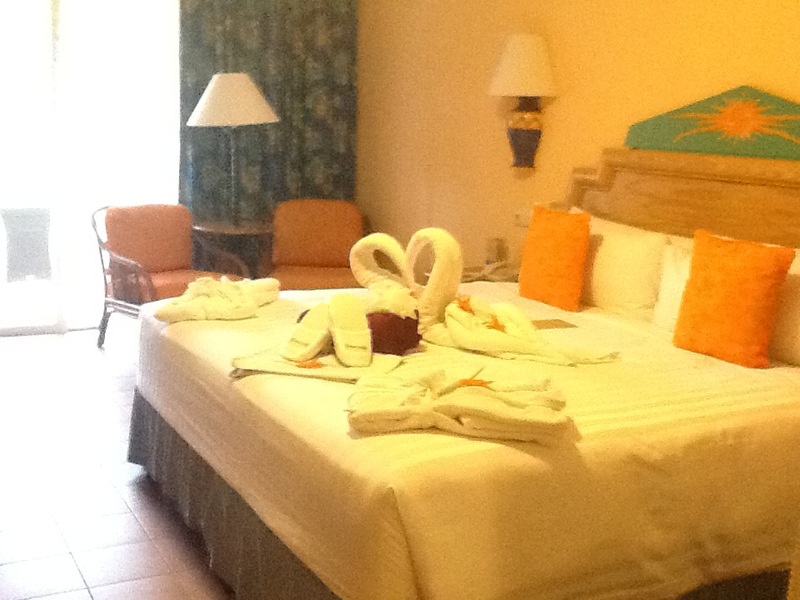 It is a huge resort where you can find a lot to do and it has a ton of restaurants to choose from. All the buildings here are no more than 3 floors so it never feels overwhelming. The grounds are very tropical and well maintained. Because you can wander all the resorts you have access to 7 huge pools each with a kids area at each pool. Yes, if you’re looking for a resort with no kids, this is not it. The first thing we see when we arrive is a large shopping mall with stores and restaurants on each side. 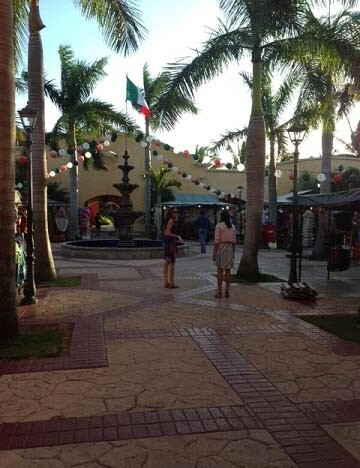 Down some stairs and across to the next resort is the Plaza Mexicana with vendors of all types. So there is no need to go to town to shop since they have everything here. A liquor store the official Corona store and lots of Saskatchewan Roughrider things to buy. Now that it is the summer, there are a lot of Spanish people here so the resort is catering to them. 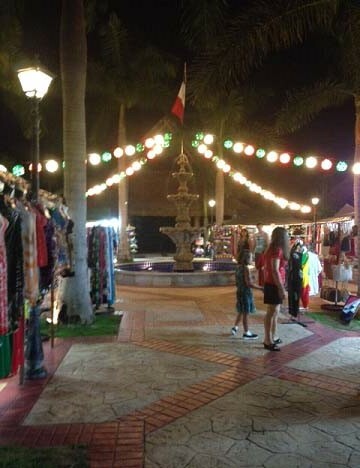 It is great to hear more Mexican music, a wider assortment of Mexican foods at the buffet, and last night we saw a Mariachi band in the mall. 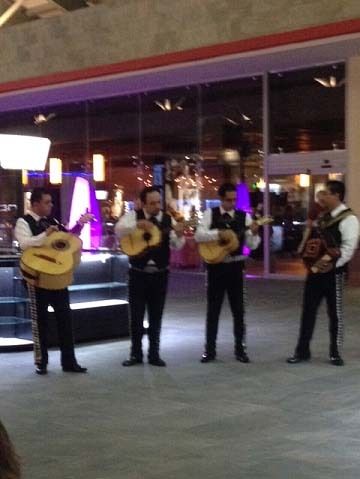 I have been to a lot of resorts on the Mayan and this is the first Mariachi band that I have seen. 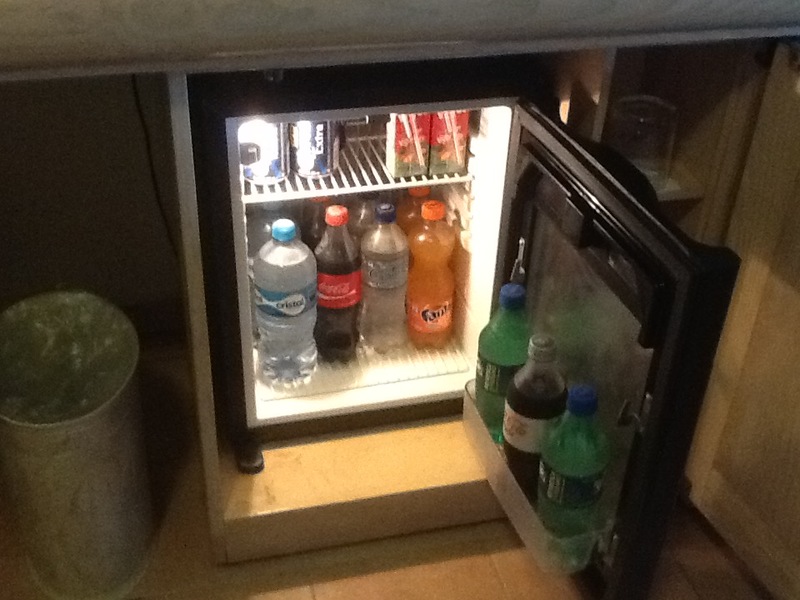 Thanks Barcelo for bringing in the Mexican flavour that so many hotels ignore. If you have any questions about the Barcelo hotel, email me at colleen@uniglobecorporate.com and I will try to get them answered for you. How do you get a 30 year old woman to jump out of bed? You tell her she’s going to Disneyland! Our day at Disney began early with a light breakfast in our room and a 10 minute walk over to the maingate. Sure glad we got there at 8am because the first thing I saw were huge lineups and the amount of people only got worse in the afternoon. Disney has it down to a fine art. They shuffled what felt like thousands of people through their entrance with little wait time once the entrance was open. First thing these eyes see is my favourite childhood hero waiting to greet us at Disney’s California Adventures: Mickey Mouse! There was a small lineup to meet him. It didn’t take long to finally hug him, tell him I love him and take a quick pic. I can finally cross that off my bucket list. The Disney photographers were there to take professional pictures but were kind enough to offer to take pictures with our camera phones for no charge. So friendly! I’ve never considered myself a “rides person” but Disney has changed my outlook. Though I never tried any crazy roller coasters, I was able to take in so many unique and special rides like “Soaring over California”, “Grizzly River Run” and “It’s a Small World After All”. So many smiles, cheers and screams! And with all those great feelings came bad ones too! Lineups, too many people and tears. You definitely see a few breakdowns from children and adults alike. I was dangerously close. When I realized the “Jungle Cruise” lineup was slowly approaching the 60 minute mark, I wanted to throw my arms to the air, drop to the ground and scream “Why? Why?” Thankfully, I had the good sense to bottle it up and play on my phone. I wish Disney would include wi-fi for their guests. That would keep people content while waiting. We utilized the “Fast Pass” as much as we could on the popular rides but there were still a few that were so popular that even the “Fast Pass” lineups were long, like Disney’s newest thrill ride “Cars”. All worth the wait, of course! By mid afternoon, we decided to walk back to our hotel take a quick nap and returned again that evening to catch “Paint the Night”, Disney’s nighttime electric parade. It was amazing! 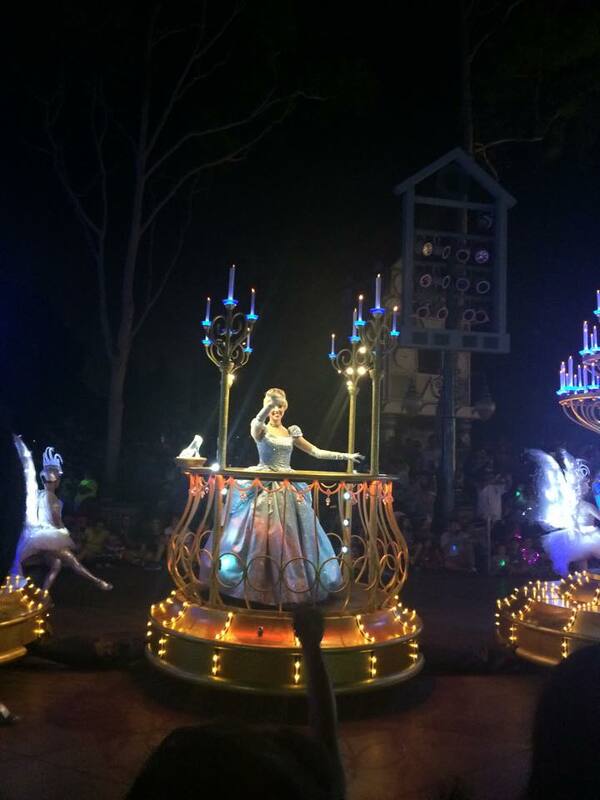 You get to see all the characters on these beautiful floats and sing along to the fantastic Disney music. 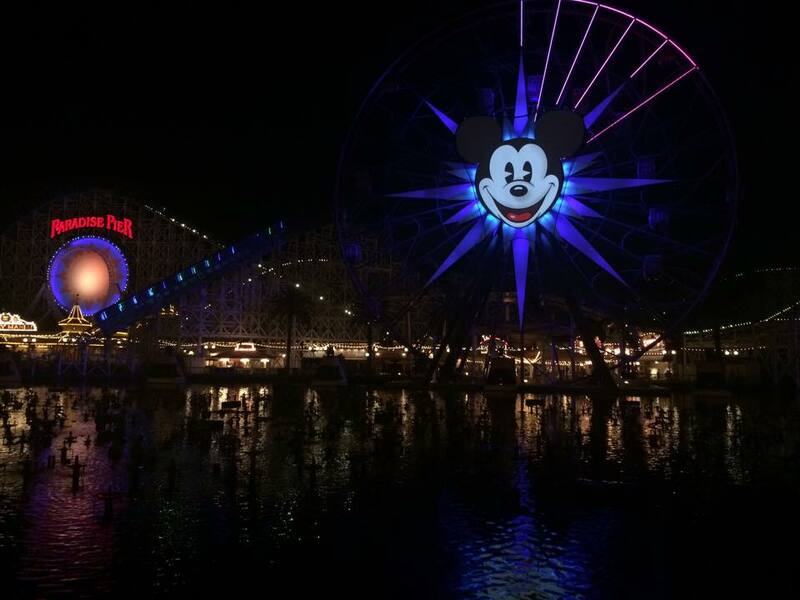 Right after that, we walked over to catch “World of Color”, Disney’s nighttime fountain show all lit with different colours and images to our favourite songs. It literally brought a tear to my eye to see so many people from all over the world, with big smiles on our faces, enjoy those 25 minutes where you can forget all the bad things and focus on the good. Since this is Disney’s 60th anniversary, the show really focused on the history of Walt Disney and his amazing legacy. 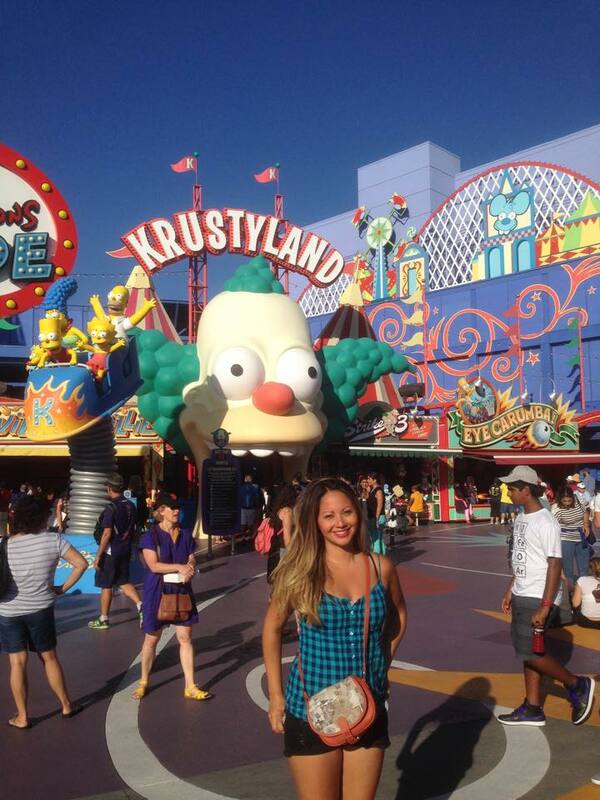 Hard to believe that it all started with a mouse… Next up, Universal Studios! I’m loving every bit of sunshine that California has been kind enough to share with me. We arrived yesterday to LAX and quickly hopped in our shuttle and made the 40 minute drive to Anaheim. Thank goodness for the carpool lane, otherwise that would have been much longer. 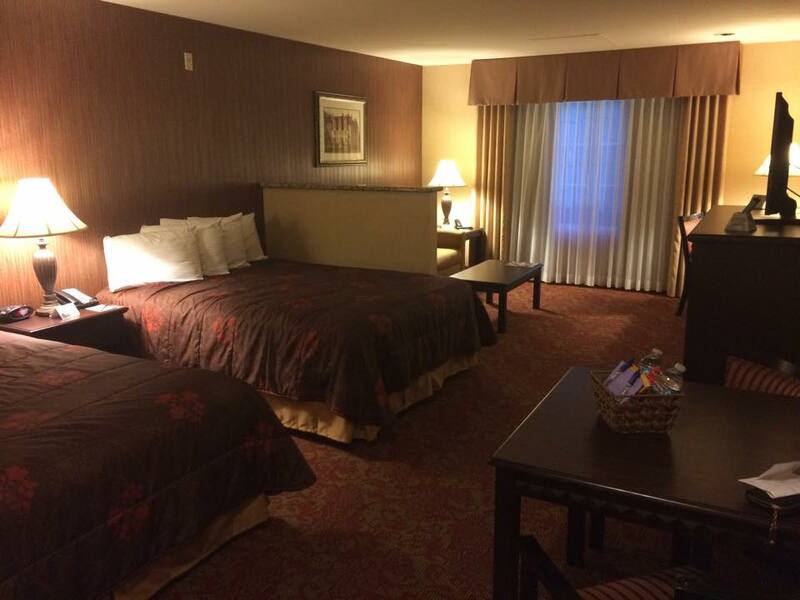 We quickly checked into our hotel: The Castle Inn & Suites. It’s a quaint and cozy motel style property directly located across the street from Disneyland! It will be our home base for the next 5 days as we take it all in. 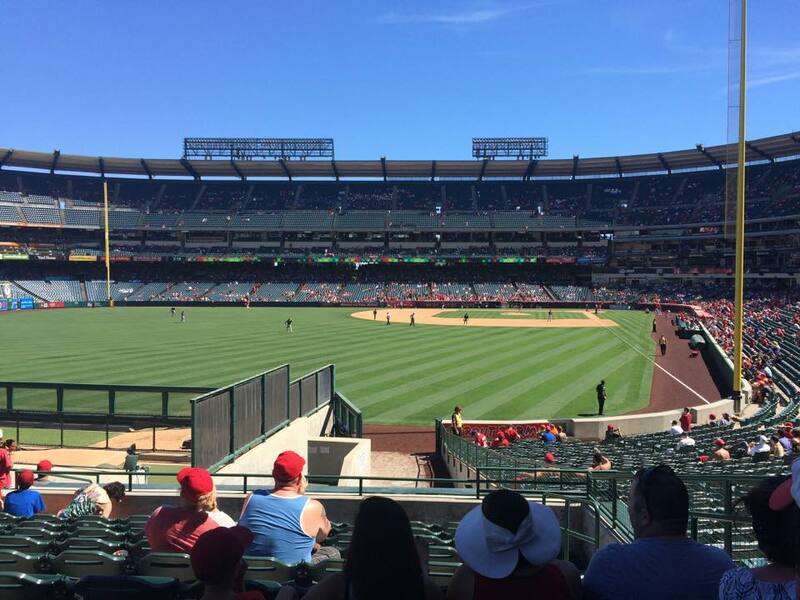 Since we got here on time with WestJet, we decided to head to an Angels game just down the road at Angels stadium. 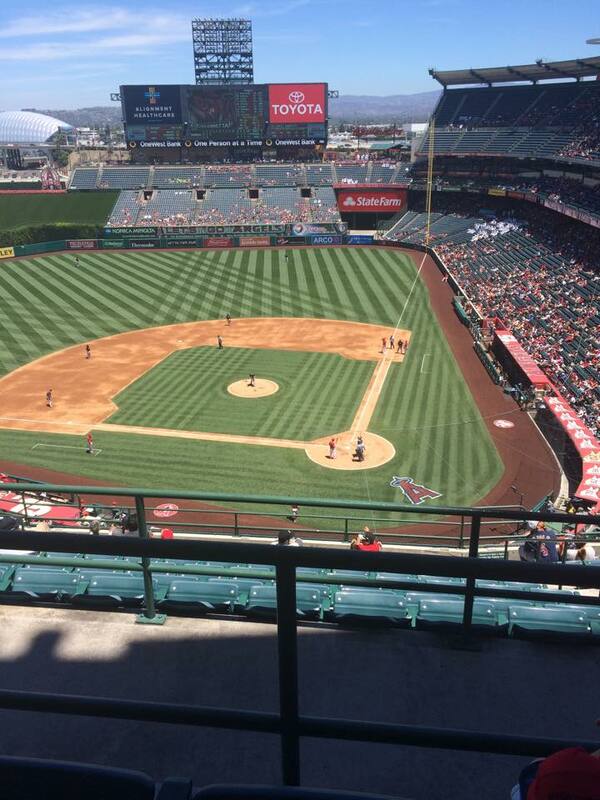 Tickets were $8 a piece for the top level but we sneakily worked our way down to some even better seats. There is not a bad seat in the house! Admission was cheap but food and drinks certainly weren’t. But how can you say “no” to a $10 frozen lemonade in this heat? I have a red burn on my head and chest to match my new Angels ball cap! Since the game got done around 3pm, we made our way to Outlets at Orange by cab to get some shopping out of the way early. This outdoor outlet mall has everything a visitor might want. I purchased a few new tops and other things but I’m trying to remind myself about the horrible rate of exchange, thanks to our crappy Canadian dollar. Guess I’m on a budget here! 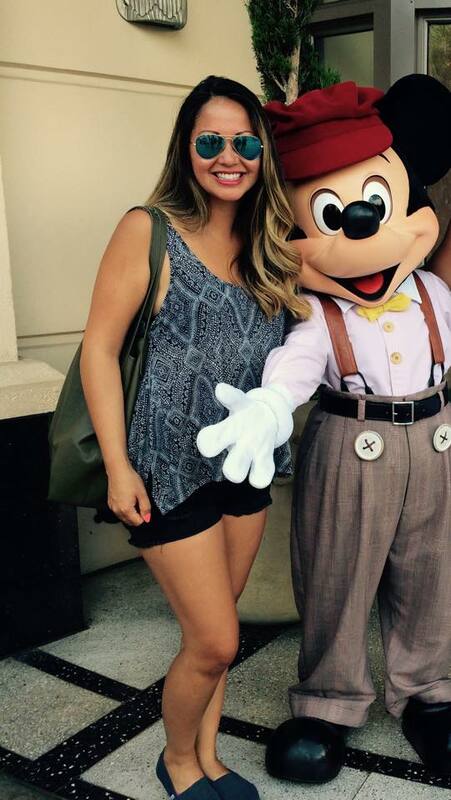 Tomorrow, I meet Mickey Mouse!